You can find Helene here. 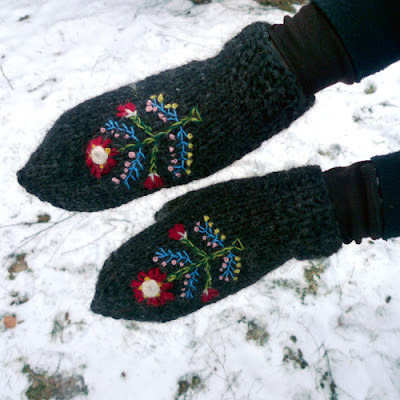 You focus on Icelandic knitting traditions, why does this knitting heritage speak so strongly to you ? Most people think it's Icelandic intarsia because of my very first knitting book about old Icelandic shoe-inserts and the intarsia tradition unique to Iceland ("Icelandic knitting using rose patterns", Search Press 2009, first published in Icelandic in 2006), but the truth is that what I enjoy most is working with colors and motifs whatever technique is involved. The design usually determines the size range. Some designs will work in little and big sizes, or even really big sizes, some other not. Some designs would need so much alteration to that they look good on both small or big sizes that it would in fact be two different designs with a similar look. I have also started graded according to height, for example coats, dresses or skirts. Of course, you have to keep yourself up to date. However I think I found my own style a long time ago and my designs are usually recognizable. I used to knit the prototypes myself but lately I've been using quite many sample knitters. It is a good school as it forced me to be much more rigorous and precise in the design process itself. But if it's a design with a very unusual shape or construction that I'm not completely sure how or even if it will work out, I knit it myself. For example my Flowerpot coat has a very unusual geometric shape: it may look like it's easy but it took many trials to position the arms correctly and cut the shape around the motif in a way that it is flattering to wear. Sort of but things went a bit out of control with my business growing quickly in directions I wasn't expecting at all, so now I'm working on a new one that involves all the aspects of it. I have for example created my own yarn label, Love Story, a pure Icelandic fine lace weight wool, probably the softest of the Icelandic wool on the market. I had a pre-launch this winter and it was a huge success with my stock sold out in merely two weeks! 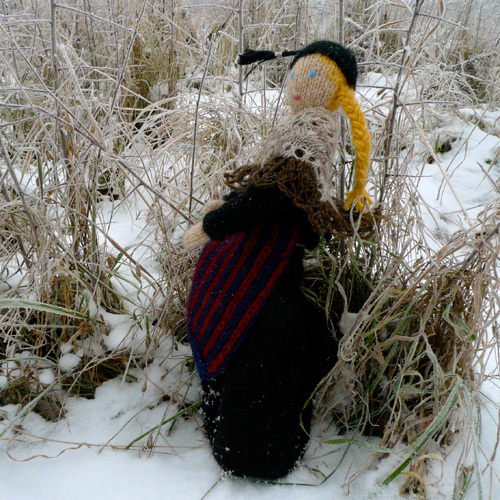 I will have some more this spring but the real thing will be next winter when I release my other book about the old Icelandic lace dresses of Aðalbjörg Jónsdóttir. It is to recreate those absolutely stunning dresses that I developed this yarn in the first place. There are a lot of designers, not just in the hand knitting world, I admire but I couldn't call them mentor. It is what made it possible in the first place, when I decided to concentrate on hand-knitting back in 2009 and it is what keeps me connected to the knitting world: physically it's fair to say that I'm completely isolated where I live at the moment... 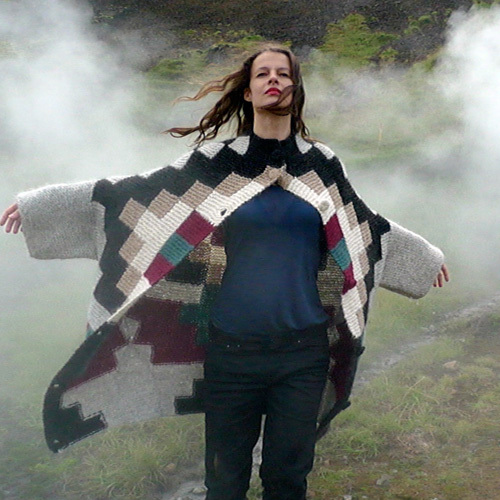 But I will be moving back to Iceland next summer after some years spent in continental Europe: I can't wait! With three young daughters, it's difficult to go completely over the edge. Without them I would probably have lost my sanity a long time ago! Otherwise mountaineering, hiking in the wild is very important to me. Oh and then knitting! The physical action of knitting is still a relaxing hobby for me (as long as I'm not working on a prototype, then it's all about extra-concentration, over excitement and a fair dose of frogging...). If it's constructive criticism, very well. It is of course very nice to hear that what you do is great but usually it is the criticism that have made me improved. Then, I have a few designs that I know will bring negative reactions because they are unusual but that I assume completely too. 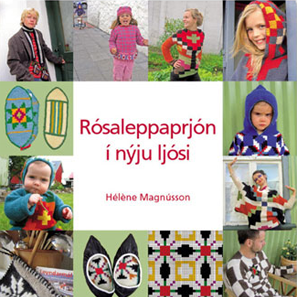 Although my first knitting book was published in 2006, it is not before 2009 that I embraced the hand knitting world fully. It took about two years to fully support myself and my family. Before that, I worked as a product designer and a mountain guide. 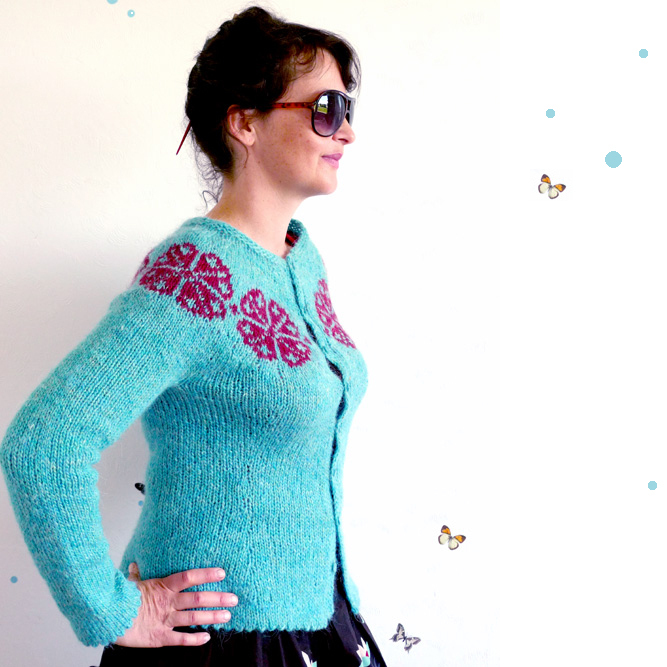 Could you tell us a little about the knitting tours you run? 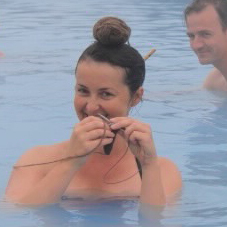 My knitting tours are all about the Icelandic knitting heritage and traditional Icelandic techniques, of course. What a better way to preserve Old traditions than to share them with others in knitting tours? The tours are the promise of an authentic Icelandic knitting and nature experience and I hope I succeed in sharing my passion and knowledge. I would think so since most of my participants either come back or start learning Icelandic or make plans to move! Knitting is intrinsically part of Icelandic culture, so exploring its culture and breathtaking nature with a knitterly angle is a great way to discover the many faces of the country, a bit away from mass-tourism areas. 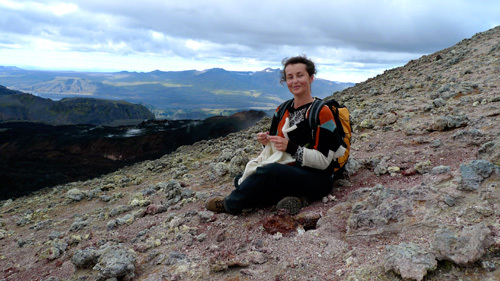 Some of my most popular tours are my hiking and knitting tours which is something that has never been done before I think - it is a collaboration with Icelandic Mountain Guides: believe it or not, somewhere at the top of a volcano or crossing a glacial river, it can become very clear why Icelandic sheep is so important and how knitting became so popular in Iceland in the 16th century! ohhh... first I heard of her, but now I want to go on one of those knitting & hiking tours!!! I think I've made it as a blogger!